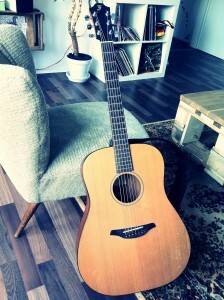 This is my lovely Furch – Durango in a dreadnought form. Furch is a company based in the czech republic. The mainsetup of my Furch, I call her „Lynn“, is very simple. There are no special details like crazy bindings, inlays or other. The result is a very bassy sound coupled with nice overtones. 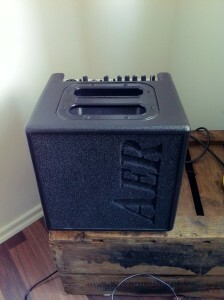 To get her going well on a pa, I chose AER AK 15+ as the pickup system. I’m not really into effects but I like having more sound options. 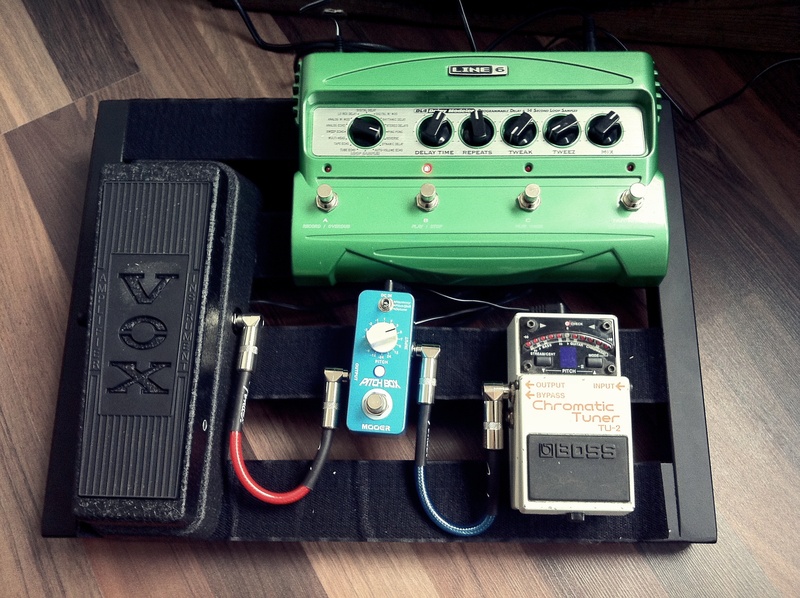 For my pedalboard I chose the Line 6 – DL 4 (multi effect delay system with a short loop progression), a Vox Wah Wah 845 (! ), a typical Boss – chromatic tuner (!) 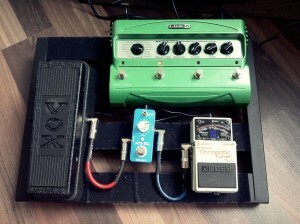 and a crazy tiny box named Mooer – pitch box (scary but admirable //#doesthiswork?// sounding pitch effects). Playing harmonics over it sounds so weird!